ATLANTA — Reinalt-Thomas Corp. and Mavis Tire Supply L.L.C. are locked in a legal battle over the right to use "Discount Tire" in their retail store names. Scottsdale, Ariz.-based Reinalt-Thomas — d.b.a. Discount Tire / America's Tire — filed suit last Dec. 26 against Mavis Tire, accusing the Millwood, N.Y.-based retailer of infringing on its federally registered trademark, of engaging in unfair competition and deceptive trade practices and of "tarnishing and diminishing" the capacity of its distinctive trademarks. The suit, filed in U.S. District Court for the Northern District of Georgia, asks the court to enjoin Mavis Tire Supply Tire from using "Discount Tire" marks in "any geographic area where plaintiff has pre-existing retail stores," including without limitation Alabama, Florida, Georgia, Louisiana, North Carolina, South Carolina and Texas. The suit seeks "actual damages, including lost revenue, a reasonable royalty and/or the cost of corrective advertising" along with recovery of all costs incurred for this action and "reasonable" attorneys' fees. For its part, Mavis Tire Supply filed a countersuit on Jan. 28, denying all allegations pertaining to the use of the Discount Tire identifier, claiming "discount tire" is "generic as applied to discount tire products and discount tire services" and was generic with respect to when Reinalt-Thomas started its retail business. Reinalt-Thomas filed its suit 11 months after Mavis Tire Supply's purchase of Kaufmann Tire Co.'s retail business in Georgia and Florida and subsequent additional acquisitions in Georgia, South Carolina and Texas, some of which were converted to the Mavis Discount Tire identity. It also comes 18 months after Reinalt-Thomas said it would open Discount Tire stores in Pennsylvania, where Mavis Tire already operates. Reinalt-Thomas/Discount Tire has used Discount Tire from its founding in 1960 and was granted a federal trademark registration on the Discount Tire Co. Inc. name "in connection with retail auto and light truck tire store services" in 1985, according to the suit. For its part, Mavis said it has been operating stores using the Mavis Discount Tire name since 1992 and owns federal trademark registration applications for the stylized Mavis Discount Tire marks. Reinalt-Thomas has filed an opposition with the Trademark Trial and Appeal Board. 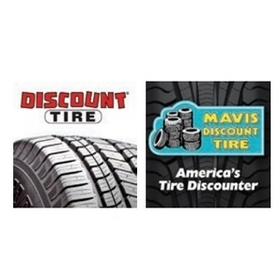 Mavis Tire Supply also argues that hundreds of retail tire establishments across the U.S. use "discount" in their name. In California, Reinalt-Thomas uses "America's Tire" throughout most of the state, where in 1991 AKH Co. Inc. defended its Discount Tire Centers trade name in a lawsuit against Discount Tire Co. Inc.
Mavis is asking the court to declare that its Mavis Discount Tire marks do not infringe on Reinalt-Thomas' rights, that the complaint be dismissed "with prejudice" and recovery of its legal costs and "reasonable" attorneys' fees.